Created in 2009, owner Jessica Pickens started Comet Over HollywoodTM to express her classic film love and share articles about the films that shaped our society, pop culture and knowledge. Covered the 2013, 2014, 2015 and 2016 Turner Classic Movies Film Festival in Los Angeles. There would be no glamour and Rodeo Drive without Cecil B. Demille and Jesse Lasky’s barn-turned-studio that they bought in a barren Los Angeles in the 1913. With a mix of classic movie and journalism writing knowledge, a Comet Over Hollywood™ is still burning. 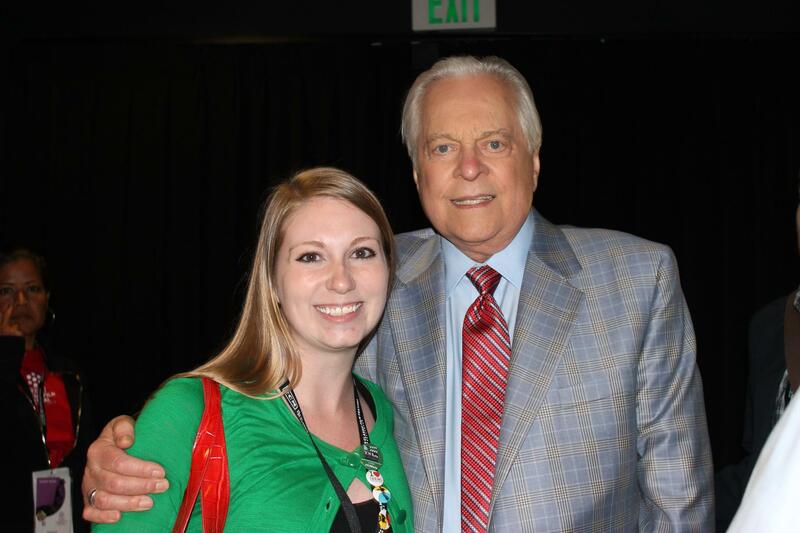 Comet Over Hollywood owner Jessica Pickens with TCM Primetime Host Robert Osborne at the TCM Film Festival 2013. Keep up to date on Facebook, follow us on Twitter, and e-mail us at CometOverHollywood@Gmail.com. I am the Blog Administrator at Movies Unlimited, a mail order retailer of classic movies. We’ve recently started a blog (www.MovieFanFare.com) and I thought some of your posts would be of interest to our readers. Would it be possible to reprint one of your posts on our blog? We would naturally provide a link back to your blog and provide a short bio if you supply it. The only changes we would make to your content would be adding any links we deem relevant to provide information to our readers (ex – links to our retail website or Wikipedia). Please let me know what you think of all of this, and keep up the amazing work! I just wanted to reach out and see if you might be at all interested in participating in an upcoming blogathon. From February 28 – March 6, my blog, The Kitty Packard Pictorial, is hosting The Jean Harlow Blogathon, in celebration of the actress’ 100 birthday, the release of a brand new book (Harlow in Hollywood: The Blonde Bombshell in the Glamour Capital by Darrell Rooney and Mark Vieira) and a new exhibit at the Max Factor Hollywood Museum. I’m sure you’re terribly busy, but hey, just wanted to see if you might possibly be able to participate! I *LOVE* that photo you’ve used on your About page. Do you know what it’s from?? Hello! My name is David and I write a movie blog called “The Man on the Flying Trapeze.” I received a Liebster Award from a fellow film blogger and one of my jobs is to tag other bloggers, so you’re it! I invite you to visit and answer a few film-related questions. Thanks! Nice to meet you. Reposting either of those on MFF is just fine. If you’d like, you can contact me in the future via e-mail at pickensj2@gmail.com. We need to hear from Jessica Pickens. Please phone us at: (610) 667-4063.